Rahime Gül Çetinkaya has begged for help for her father, veteran journalist Tuncer Çetinkaya, who faces the risk of death from serious health complications after he was jailed 16 months ago in Turkey along with hundreds of colleagues. “My father lost 30 kilogram after he was jailed. He has been diagnosed with autosomal dominant polycystic kidney disease. 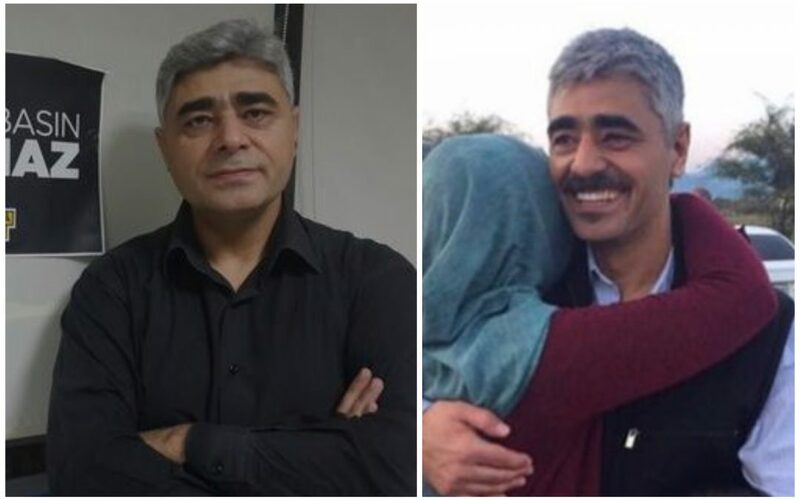 Despite a medical report stating that he must remain at home, they have not released my father,” Rahime Gül Çetinkaya said in a message to Turkish Minute. Tuncer Çetinkaya, a bureau chief for one-time best-selling newspaper Zaman, which was unlawfully seized by the government and subsequently shut down, was detained on July 23, 2016 and jailed in Döşemealtı Prison in Antalya province. “Psychology is important factor for patients. My father was tortured in prison. His medications were not given to him for five months. His disease has reached a critical phase,” said Rahime Gül Çetinkaya. On January 22, 2017 Çetinkaya had hernia surgery; yet, authorities failed to inform the family about it. None of his relatives were allowed to stay with him at hospital during recovery after they finally received news of his hospitalization, a blatant violation of his rights in pretrial detention. “After the surgery, he was kept in a surgical gown for eight hours in a barred room next to the morgue. Later he was dragged back to prison,” his daughter said. “My father was not allowed to go to the doctor despite the fact that he has serious pain due to his kidney disease. We wrote petitions, we met with the prosecutor, but nothing has changed. They told me my father has to wait because 700 prisoners are also waiting for a doctor,” Rahime Gül Çetinkaya added. Turkey was ranked 155th among 180 countries in the 2017 World Press Freedom Index released by Reporters Without Borders (RSF) on April 26. If Turkey falls four more ranks, it will make it to the list of the countries on the blacklist, which has the poorest records in press freedom. The US-based Freedom House, an independent watchdog organization dedicated to the expansion of freedom around the world, has named Turkey as among the countries that have a “not free” press, in a report released on April 28. According to Freedom of the Press 2017, the Turkish government, using enhanced powers under a state of emergency, carried out a massive purge of media outlets accused of links to an attempted military coup in July. Turkey is the biggest jailer of journalists in the world. The most recent figures documented by the Stockholm Center for Freedom (SCF) show that 253 journalists and media workers were in jail as of Nov. 5, 2017, most in pre-trial detention without having been convicted. Of those in Turkish prisons, 228 are under arrest pending trial, while only 25 journalists have been convicted and are serving time. Detention warrants are outstanding for 133 journalists who live in exile or remain at large in Turkey. The government also closed down more than 180 media outlets after a failed coup attempt on July 15, 2016. This article originally appeared in Turkish Minute on Nov 17.